Hillcrest, on Rowland Road in Seal Harbor (town of Mount Desert), was designed by Frank L. Savage for George Stebbins. 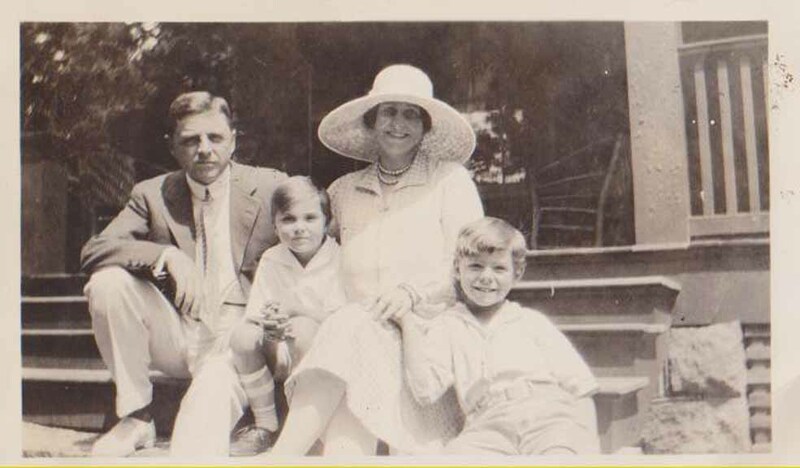 It was purchased by Mr. and Mrs. Franklin Henry Ellis in the 1920s and was later owned by Mr. and Mrs. Franklin Henry Ellis Jr. Below is a picture of the senior Ellis and his wife (Kitty) sitting on the porch steps of Hillcrest in 1927. On the right is F. Henry Ellis Jr., and cousin Bobby Lawson is between Mr. and Mrs. Ellis Sr.